The Cutera CoolGlide is the most outstanding laser hair removal system on the market for all skin types, from light to dark, including tanned patients. Its unique design, longer wavelength, and innovative cooling allow extremely effective, safe and permanent results. 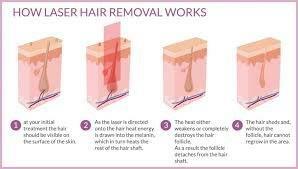 Customized through versatile Infrared wavelengths and current density to optimize hair removal for any skin type. Fast treatments — an average back treatment is 30 minutes, 30 minutes for both legs. Increased patient comfort: rapid set-up and clean-up, no numbing cream or gel required. Cleared for permanent hair removal.